Kraftwerks Any interest on these here? - Miata Turbo Forum - Boost cars, acquire cats. Kraftwerks Any interest on these here? The KraftWerks Miata Base supercharger kit makes this great little sports car reach a new performance level it has never seen. Using the compact Rotrex C30-74 supercharger, this CARB-Pending kit kicks your canyon and track fun way up! The extra power is felt throughout the ENTIRE rev range, and never quits pulling. All required hardware and electronics are included, so there is absolutely nothing else needed with your kit. Bolt it on and go FAST! Not to rain on your parade but i have yet to see a kraftwerks car get anywhere close to any kind of power band i would pay money for. Would post this over on miata.net or club roadster as they are the ones that buy status not speed. There WAS a lot of interest....You're about a year too late. LOL well i was just throwing it out there. What would you guys like to see sales on? 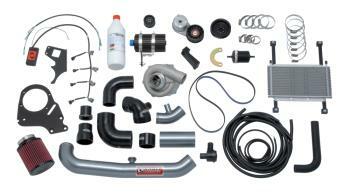 If you can deliver bottom prices on quality parts like you say you can, you'll do well here. I need a clutch and flywheel. I want perfect streetability, at least 400 ft lbs static holding load, under 20lbs total clutch/ flywheel mass, infinite rebuildability, and I want to spend under $300. What can you do for me? 18PSI thanks for the kind words. We are here to offer support and share our passion for racing. Last edited by Renown Performance; 11-03-2011 at 05:26 PM. Most everyone that slams the rotrex hasn't driven one. That aside, the base kit is expensive for the power level, and the failure of Kraftwerks to provide the promised upgrade path for the expensive base kit hasn't helped any. Were I a vendor I'd stay away from reselling Kraftwerks stuff at the moment as they seem to be imploding. I built my motor with Rotrex in mind, (10:1 CR). I liked the simple, trackable reliability. I know I'm in the minority here, but I'd like a sale on a race kit. With that said. I'll second the I/C idea. I think the main issue people have is that they don't enjoy making full boost by redline. It would turn me off too. I have driven a few centrifugal cars before, but the last two were procharged corvettes and that's a different world. The race kit value sould be $2000 max to be sold . 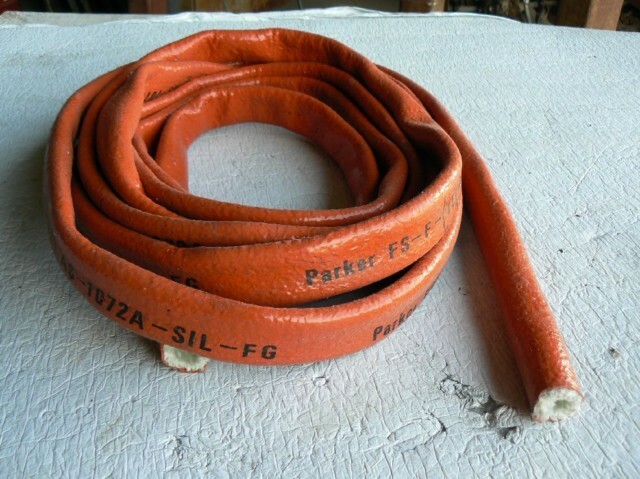 Some sales on orange hose? I like yellow hoes, myself. "Parker Firesleeve is a flame resistant sheath that protects the hose from extreme temperature conditions. Firesleeve easily slides over hoses and readily expands over fittings." We usually use the reflective metal absorbing covers. We will look into it. Quick Reply: Kraftwerks Any interest on these here?